Today I’ll be replacing broken screen on a Sony Vaio VPC-S111FM laptop. It has another model number on the bottom: model PCG-51211L. 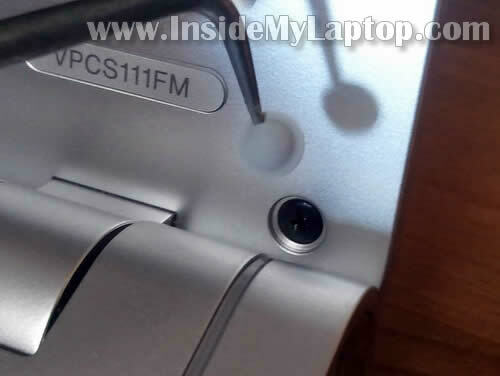 It’s possible the guide will fit some other Sony Vaio VPC-S series. There are four screws securing the display bezel to the display cover. These screws are hidden under four rubber covers. 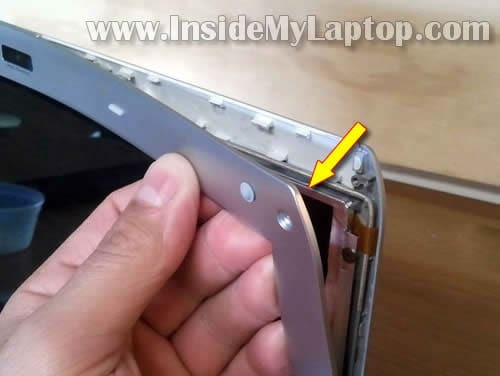 Remove screw covers from the top side of the display bezel with a sharp object. Remove two more covers from the bottom part of the display. Carefully wiggle the bezel to disengage hidden plastic latches. 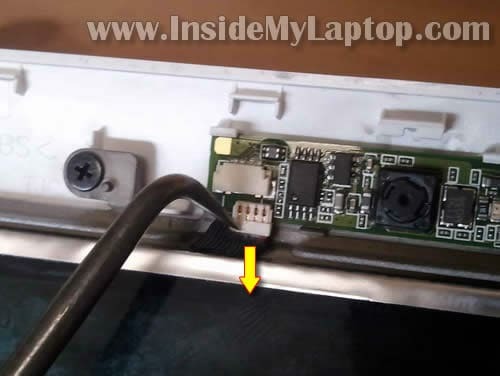 Disconnect cable from the webcam module. Separate LCD from the display cover and place it on the keyboard. Now you are ready to replace it with a new one. NOTE: Make sure it’s designed for or compatible with Sony laptops. 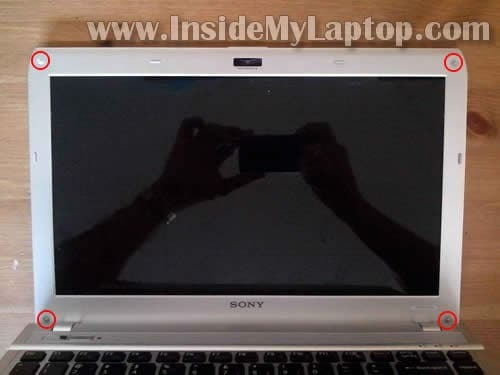 I believe that not all screens will work with Sony laptops even if the screen model number matches. You’ll have to find a new LCD which is COMPATIBLE with Sony. I would suggest you contact the seller and confirm that. 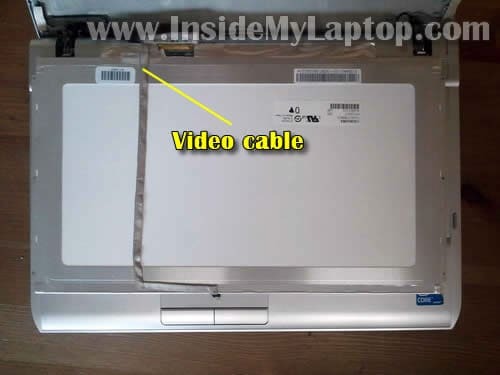 In my Sony Vaio VPC-S111FM the LCD had the following part number (model): CLAA133WA01A. UPDATE: in the next guide I explain how to disassemble the base and repair broken power button. 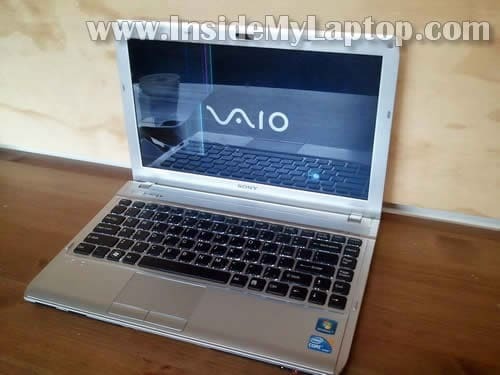 does sony vaio pcg-k33 have a CMOS battery? A little question. Do you know where is the wirelles card in Sony VCPEB17FB. Do you know where is the wirelles card in Sony VCPEB17FB. 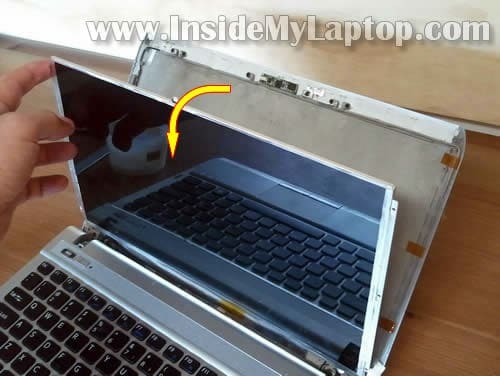 If there is no wireless card door on the bottom of the laptop, most likely it’s under the keyboard or palmrest. I have the same notebook. I bought on ebay a new lcd display because the original one is broken. After following all your steps, the screen is working, but the backlight doesn’t, I know that because I can see the VAIO and windows logos at boot, but only as shadows. I’m not an electronic expert, but googling I found that the problem might be the invertor or a cable connector damaged replacing the screen. I think the invertor is the small part sticked to the lid, right? I’m confused what you mean by your last note…. 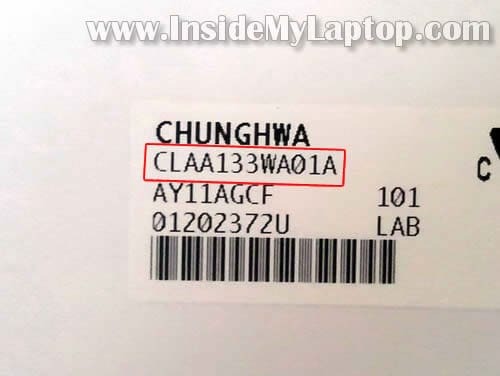 Are you saying that the part number CLAA133WA01A (displayed on the back of the broken screen) might not be the full part number? 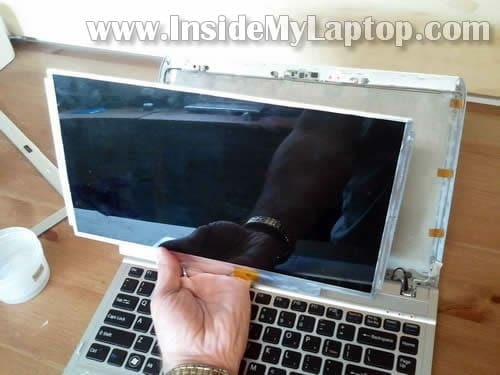 That a replacement screen with that part number might or might not work with a Sony laptop? When you search for a new screen read the description carefully. Sometimes it might say “Not for Sony laptops” even though the part number matches. I’ve seen it a few times on eBay and Amazon. Make sure there is no such a note on the screen you want to buy. Hi. i`ve been looking for a how-to about replacing the keyboard of a VCPS111FM and didnt find so far. Could you please help me with this issue? I appreciate. Thanks. i`ve been looking for a how-to about replacing the keyboard of a VPCS111FM and didnt find so far. Could you please help me with this issue? I appreciate. I think there are three screws securing the keyboard on the bottom. One of them probably under the memory cover and two other under the battery. 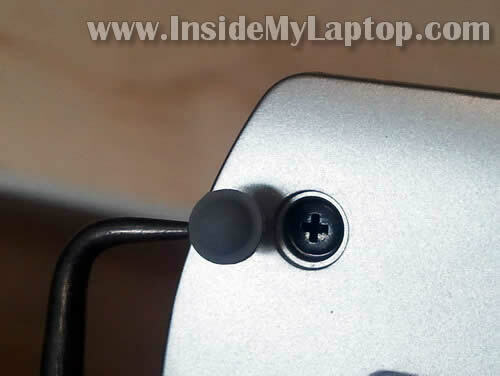 I think you can remove those screws and after that lift up the upper side of the keyboard. After that disconnect the cable and replace the keyboard. Hi Admin, I appreciate the hint. I`ll try when my keyboard arrives. Thanks again. I have a VPCS11FM with a broken screen. After I replaced the screen with the new one, I got the same problem as Tomas mentioned (#4 post above). Any suggestion on what the problem is and how to fix it? 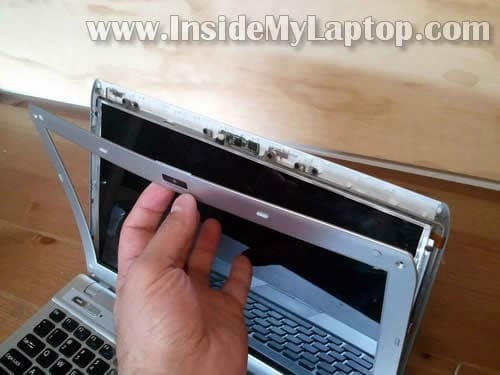 Tomas, have you fixed your laptop? I also replaced my screen and now the backlight does not come on, though the screen works fine… same as posts #4 and #10, above… if anyone has a solution can you please post it? I currently have a broken screen on my vpcs111fm and want to solve the problem that posters #4, 10, and 11 are all having before I try to replace it. Does anybody have a solution to this problem? 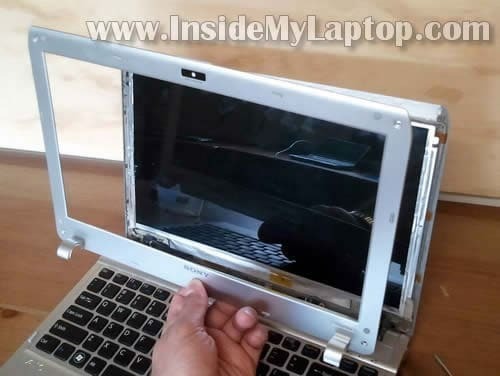 You have to make sure the new LCD is COMPATIBLE with Sony laptops. 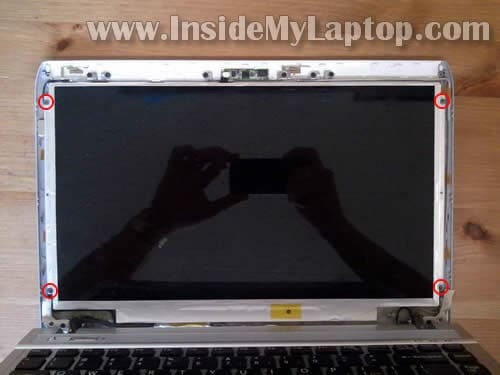 For example, when you search on eBay or Amazon, you can find a new LCD with same part number but it says NOT FOR SONY LAPTOPS. Search for one that says compatible with Sony laptops. 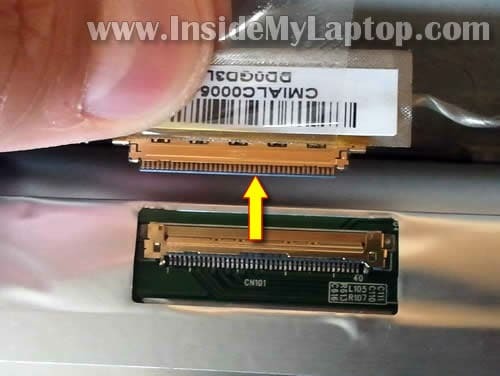 Hi i replaced my Sony vaio FE vgn-fe2gp screen it works but i can’t find the driver for it i have the original driver but it does not work work. Hello I wonder if you have the LCD PCG-51211L for purposes of sale and how much?